The day starts of very wet and overcast. But we need to get her on, if we want to reach our goals (yeah, I know it’s holidays). We don our rain gear and head of towards Laval. When we get there around lunchtime we find out that everything is closed, even most restaurants. We finally find a small Chinese restaurant for a bit of lunch and to dodge the rain. 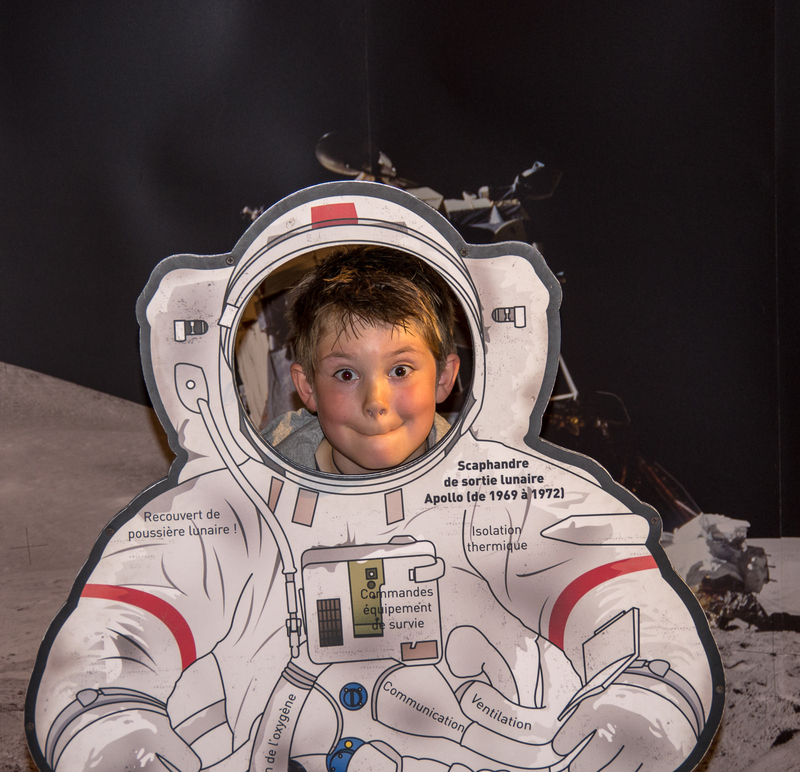 The industrial museum sports a special exhibition about the moon landing, including some original equipment the astronauts used. 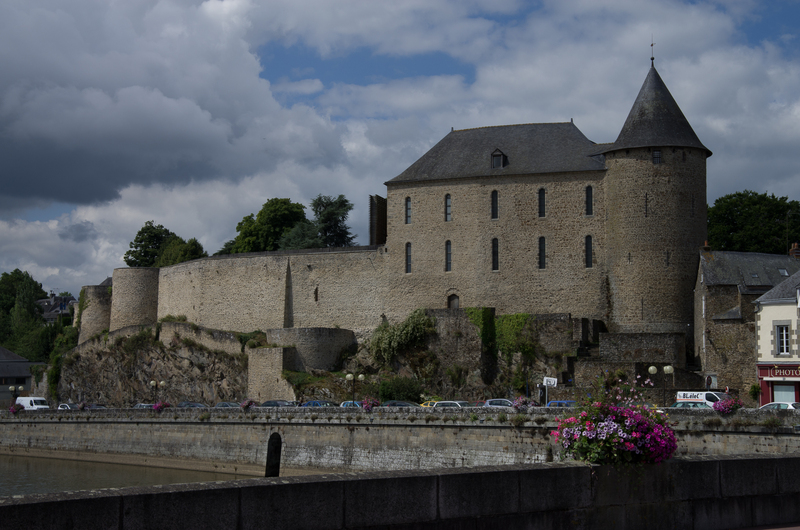 The castle is a beautiful structure, but most buildings are from the 17th century, when it was used as an impressive chateau rather than a defensive structure. 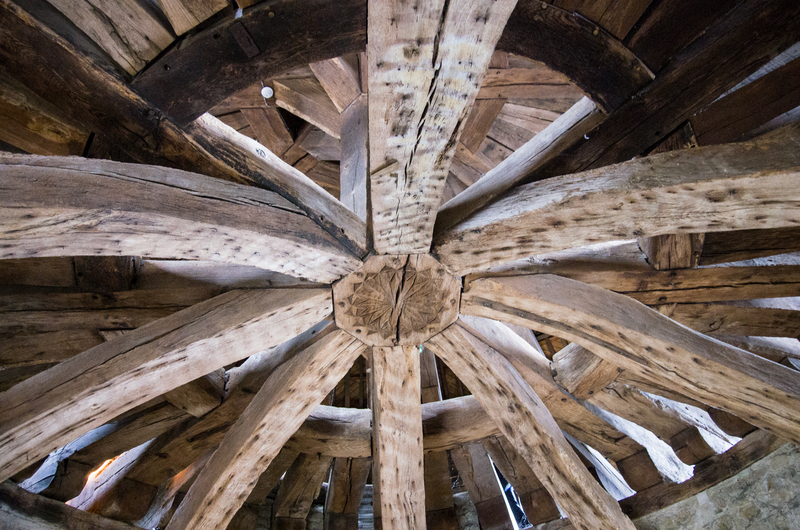 Only the big round tower is left from the original castle. And it was truly solidly build. 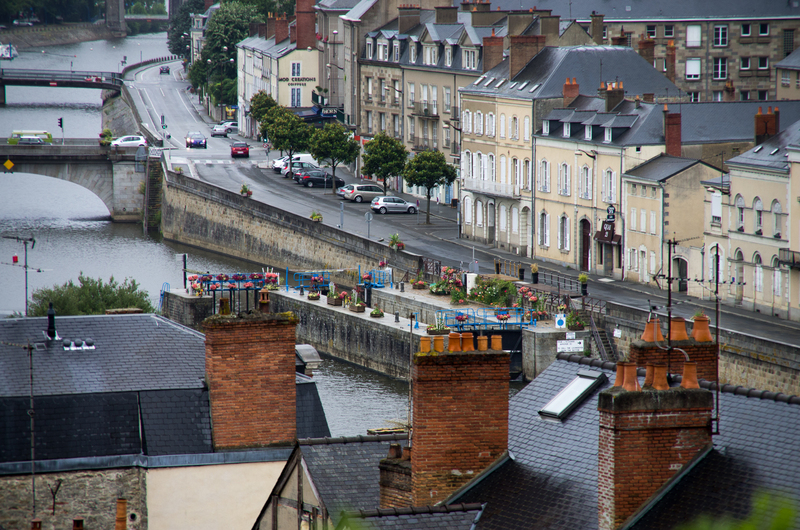 Laval town lock seen from the castle walls. We head on after our excursions to get some miles under our belt. Port-Rhingeard sports a bridge, a lock, a mill and a little marina. Still we haven’ yet seen a boat moving. Eventually I notice that the engine loses power and only runs on one of its two cylinders. I undo the cover and see one of the ignition cables hanging loose detached from the plug. As luck has it, the plug is of the screw type, so I just cut of an inch of the worn cable and screw it back into the plug. Problem solved (for now). We moor up at ecluse 29 for a quiet night. After the great success with last year’s holiday to Brittany we decided to travel to France again in order to dodge the Irish Summer. We have planned quiet an expedition, covering all the rivers in the Maine Basin, down the Loire to Nantes up the l’Erde and the Canal Nantes á Brest to La Gacilly. 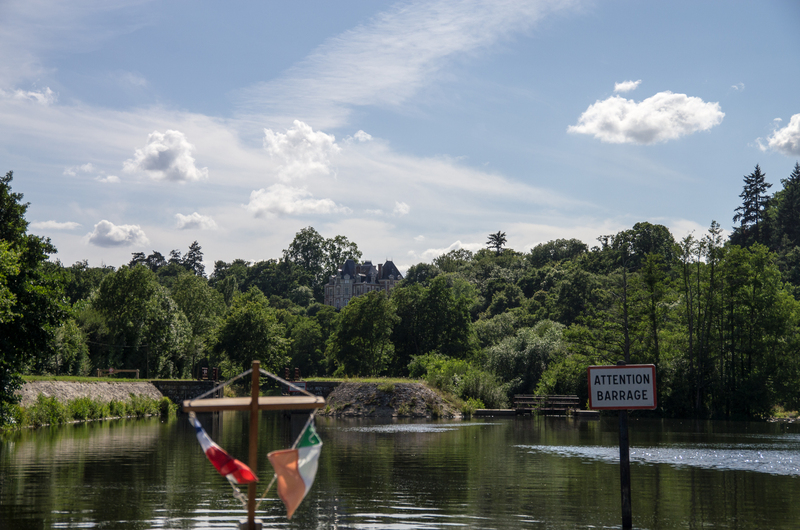 Also including detours onto the Sèvre Nantaise and the Vilaine. We started out on Thursday lunchtime from Mountshannon to Rosslare to catch the Stena Line Ferry to Cherbourgh where we will arrived at 17.00 hours Friday evening. The weather on the crossing was abysmal, but still we had a great time as we met a lovely couple from Donegal (Martin and Regina). Lucas had a heck of a time with there son Drew and in exchange we had a great time with them, while the kids were looking after themselves. 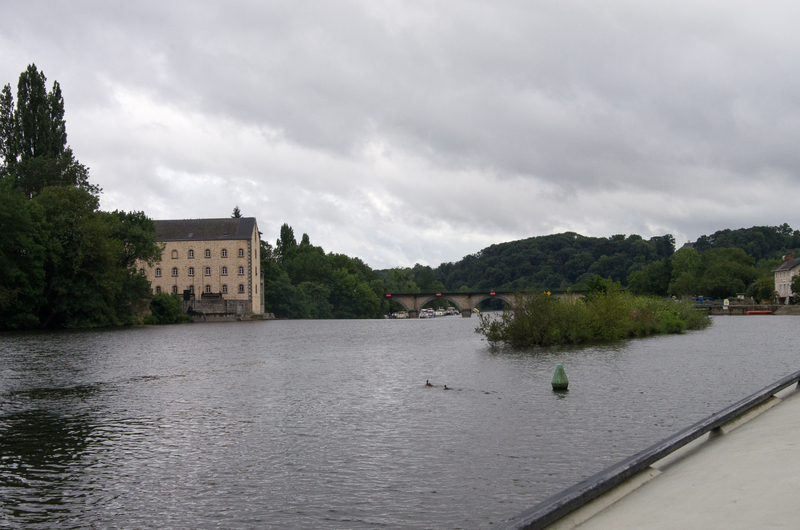 After disembarkation we made our 200 km trip down to Mayenne and had the boat in the water by half past eight. For sustenance we walked up to the market place to have some flammkuchen at a bistro. Friday morning we took the Landy to the Local SuperU to do as much shopping as we can possibly store on the boat. After that’s done the last duty before we can head off is to bring car and trailer to the local Camping Municipal for storage. A bit of an argument ensued as a price of 2,50 €/day was agreed upfront, but suddenly rose to 6€/day as it was high season. Somehow I still only payed 56€ for three weeks as some people seem to have problem with simple arithmetic. 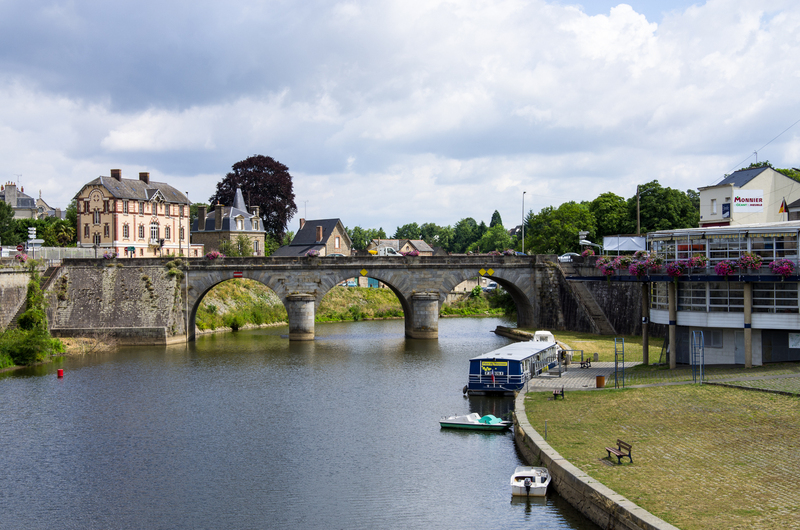 But before we hit the River we have to see the little town of Mayenne. 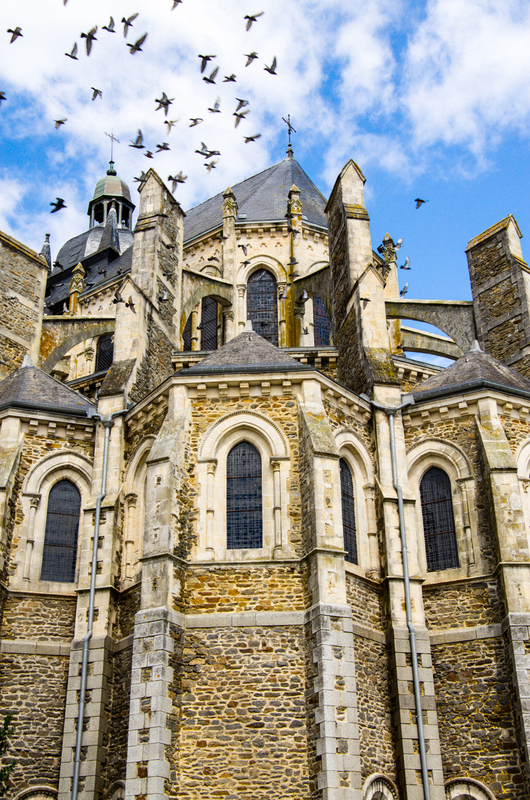 Mainly the Basilica Notre-Dame and the castle. After a galette and cidre for the grown-ups and a crepe and juice for the child it is time to set of on the adventures proper. 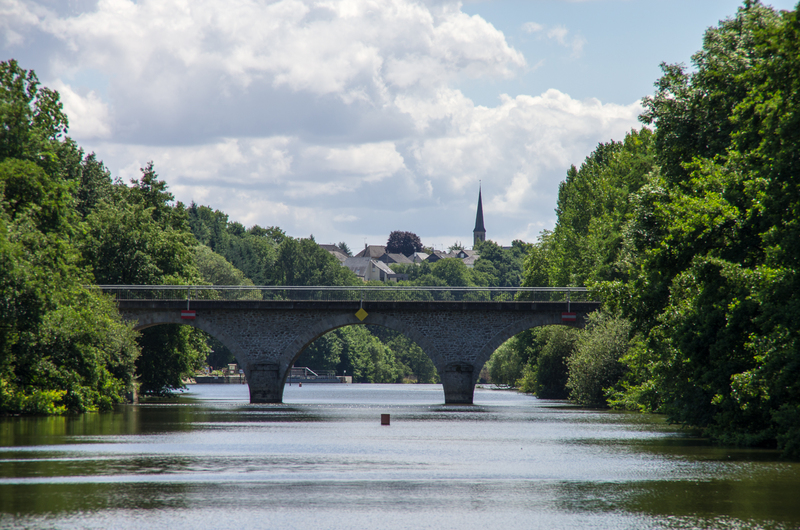 The upper reaches of the Mayenne are very pretty, the river hemmed in by a narrow valley with mostly wooded hillsides. Also are they extremely underused with only about 150 boats a year reaching the end of navigation at the pont MacRacken. The first two locks pass without a problem as the young holiday lock-keeper is very professional. After that we are “helped” by an elderly eclusier that keeps talking to me at an increasingly louder voice, trying to explain me something seemingly very important. But I am not even sure if he is speaking French, what gets him talking even louder. So I feel I am doing something wrong until he starts to communicate with cyclists and walkers in the same fashion. And they don’t seem to understand him either. So each lock takes ages, until he gets onto his little moped to follow us to the next lock. 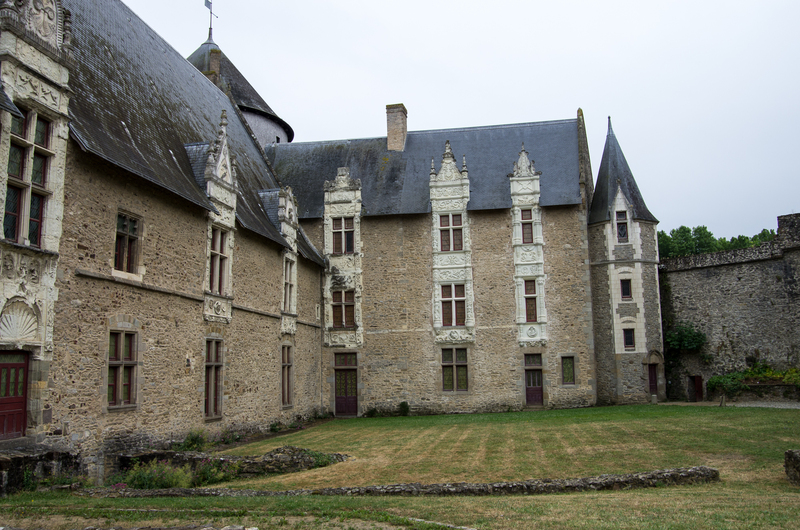 But we are not tethered and glide on in beautiful sunshine and soon encounter the first of many chateaus on this trip. We notice that there is a lot of flotsam in the river, from little branches to whole tree trunks. And within two hours we hit some underwater obstacle with the outboard and suffer a bent propeller. The vibration from it makes the whole boat rattle and shake. Trying to bend the damaged blade tip back in shape only makes it snap off. But the vibration is gone and the prop will do his job for the rest of the holiday. 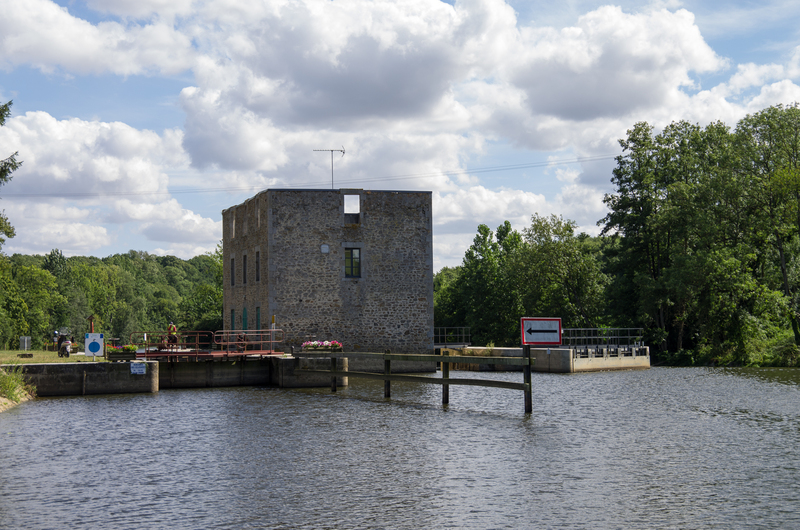 Going towards 19.00 and therefore lock closing time we stop for the night at ecluse 15 Moulin-Oger. Enjoying some nice red wine we are looking forward to tomorrow.